Are you expecting and not quite sure what to put on your baby registry? If so, you're not alone! If you're a first time mom-to-be, you're probably overwhelmed with the amount of things people are telling you that you'll "need" by the time baby arrives. While there are definitely a lot of things that you should have, there are also many that you don't need, at least not right away. You'll have some time after baby arrives and is a few months old to head to the store and buy other items that you may want. In the beginning, you should focus on necessities so that you're not overwhelmed and you spend your money on items you'll actually use. Below is a baby checklist for some of the bare necessities, some of the extras that will make life a little easier and some irresistibly adorable little things you just can't live without. ___ 6 - 12 bodysuits or onesies. Some short sleeve & some long sleeve, depending on where you live and what season it is. It's ideal to have 2 per day so you can avoid doing laundry more than once per week. ___ 6 - 9 pairs of soft pants, such as leggings or sweats. Babies don't move comfortable in jeans or corduroys. Although these types of pants are cute, they are not functional. ___ 3 - 5 newborn gowns that zip up in front. These are great for quick diaper changes, especially when baby is sleepy. ___ 10 - 20 of socks. It seems as if every time I do laundry, a sock disappears. ___ 8 - 12 bibs. These get dirty very quickly and save the clothes from getting dirty instead. It's easier to wash bibs than an entire outfit! ___ 4 -5 pairs of mittens. Newborns tend to have sharp nails that they can't control. Mittens help prevent them from scratching themselves and tend to get lost in the laundry along with the socks. ___ Some baby clothing in size 3 - 6 months just in case you have a larger baby. Some newborns are born too big for newborn size clothing and it's also never too early to have larger clothes. You'll need them eventually anyway and, by the time baby comes, you may be too busy to go out shopping. ___ Shoes. Newborns don't need to wear shoes. Booties and socks are enough but some parents prefer them for the look. If you get babies used to wearing shoes from the beginning, they're also less likely to try and take them off when it's time to wear them so it may be beneficial to get them used to shoes (soft soled only) early on. ___ dresser and/or changing table. There are many options available now that have a removable changing table top on a child-safe dresser that can be removed when it's no longer needed. ___ shelves or bins for toys, books, etc. ___ A clothing hamper. Baby clothes should be washed separately from the rest of the family's clothes in the beginning so it's easier for baby to have his or her own hamper. ___ stationary convertible crib. Having a co-sleeper or bassinet that can be moved from room to room is a great thing to have with a newborn. Baby can sleep in mom and dad's room next to their bed for easy access during night time feedings and can also be taken into the living room or kitchen when mom is doing housework. Having baby take a nap in the standard large crib is a good idea, however, so baby gets accustomed to sleeping in his own room early on. ___ crib bedding set with bumper, pillows, comforter, etc. ___ lighting. A lamp that can be dimmed is the best option since it can also serve as a night light. ___ highchair. Getting a high chair can wait until baby is 6 months since they will not be using it until that age anyway. ___ baby spoons, bowls and plates. Babies don't start eating solids until about 4-6 months, starting with rice cereal, so purchasing this can also wait until that point. ___ jumper or walker. Babies don't tend to use these until about 3 - 4 months. It keeps them entertained when they are old enough to use it and helps strengthen their legs. ___ jogging stroller. Most moms don't have extra time to get away and go to the gym. With a jogging stroller, you can take baby with you for a work out while baby takes a nap. ___ cotton swaps (for umbilical stump care). ___ robes. Hooded towels tend to be easier to handle when taking baby out of the tub. ___ Plenty, plenty, plenty of diapers... Start off with 2-3 boxes of newborn diapers and then start buying size 1 and 2. ___ travel wipe container. It's a good habit to keep extra wipes in your car, purse and throughout the house to help clean up spills as soon as they happen. ___ diaper bag. Find a good, organized diaper bag that fits your needs. It's also helpful to have a mini compact diaper bag in your vehicles. Many times I've forgotten my diaper bag at home or forgot to re-stock it with diapers and luckily I had my mini diaper bag in the car. ___ CPR / First aid class for you and family, babysitters, etc. ___ outlet covers (You won't need these until baby starts crawling at about 6-9 months. Get enough for your home outlets, plus a few for travel). ___ Keepsake box for keepsakes such as the hospital bracelet, first haircut curls, etc. While this may seem like a lot, remember that, if you register early enough, you will receive most of these items as gifts and can then go buy the rest with gift cards you receive. 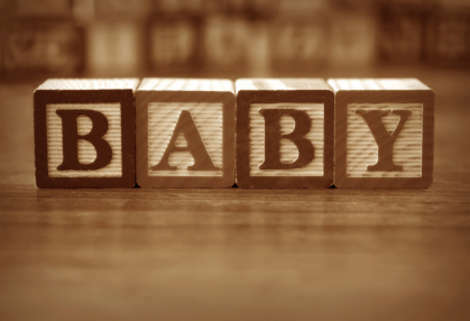 Plan ahead and have your baby shower when you're about 6 to 7 months pregnant at the latest. This will give you plenty of time after your shower to shop for items you did not receive.